First, some history. 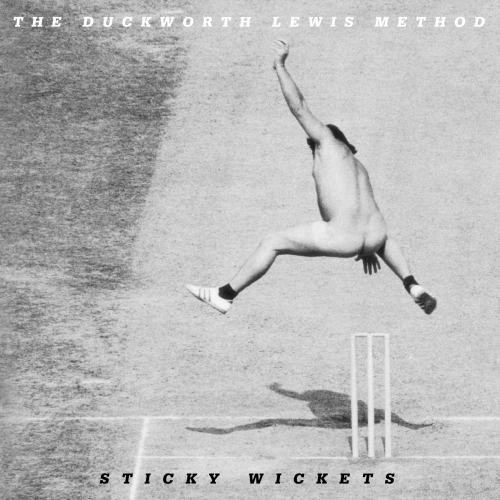 In 2009, The Duckworth Lewis Method (Neil Hannon of The Divine Comedy and Thomas Walsh of Pugwash) released their eponymous debut, an album completely about or inspired by the game of cricket. Being an American who doesn’t follow sports, it should feel slightly odd for me to call that debut one of the best pop albums of the new millennium. But while being conversant in cricket would undoubtedly illuminate elements of the songs that at the moment just seem esoteric (in the same way that I suspect knowing more about Japanese culture would reveal to me much more meaning in the magical visual lexicon of Hayao Miyazaki’s films), ignorance of the game is no barrier to the brilliance of the music because Hannon and Walsh so vividly and engagingly tackle their subject from a wide variety of angles and with no small amount of wit, heart and humor, which should come as no surprise to fans of their respective bands. “The Age of Revolution” examines cricket as unintentional sociopolitical leveler in English colonies; “The Sweet Spot” conflates batting with sexual suggestion; “Flatten the Hay” is a pastoral recollection of childhood joy in playing the game, while “Test Match Special” revels in the simple joys of being a spectator kicking back to lose oneself in a multi-day-long match; and, perhaps my favorite track, “Jiggery Pokery” tells the story of Australian bowler Shane Warne’s “ball of the century” which in the blink of an eye (it can best be appreciated in slow-motion replay) bounced and spun past his opponent, leaving the batter rather stunned as to what had just occurred. The Duckworth Lewis Method are about to do it again with their follow-up album Sticky Wickets, released on July 2, 2013. Watch/hear the first single, “It’s Just Not Cricket”. As a tangential note to my fellow Americans to whom both cricket and English musician Roy Harper are relatively unknown, please go listen to his “When An Old Cricketer Leaves The Crease”, the only track prior to Duckworth Lewis Method that I’d ever encountered to not only sing about cricket but use it as a metaphor for deeper issues. It’s a heartbreakingly elegiac song with one of the most sublime brass arrangements ever, courtesy of composer/musician/frequent-Harper-collaborator David Bedford.